Successful behaviour change interventions pay close attention to how humans actually think and decide. Private companies have a long history in analysing customer behaviour – products are usually not marketed without exploring drivers of decision making. It is time for climate change practitioners to boost the impact of their activities. As we transition towards a low carbon society, significant change will be required. Within that, sustainable behaviour change has a major role to play and the thought leadership of NGOs will be critical to make it happen. 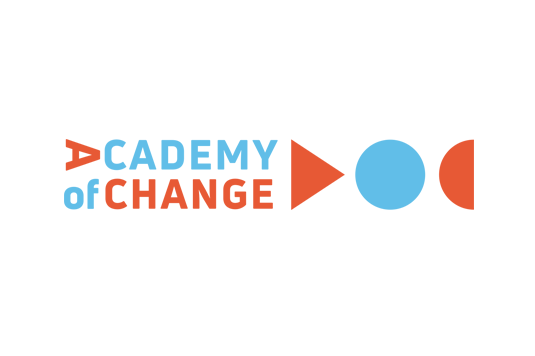 The Academy of Change is a new initiative to meet this need. It is designed for 50 future leaders working on climate change and sustainability within the NGO sector. It offers a unique professional development journey to help individuals build their skills in enabling more sustainable behaviour among citizens. This is possible by allowing the integration of evidence-based knowledge about the underpinnings of behaviour and behavioural theory into NGO strategies and projects. The programme is entirely free and includes training, webinars, coaching and networking opportunities. By building capacity about the drivers of behaviour in a systemic and holistic manner, the Academy of Change supports professionals within NGOs to become more strategic when reaching out to their target groups and generate greater impact with their activities and campaigns. Our goal is to enable NGOs to accelerate change in sustainable behaviours and lifestyles that really matter. Additionally, the Academy of Change also facilitates direct implementation of behaviour change interventions on the ground. In partnership with local NGO partners, the Academy of Change co-develops sustainable behaviour change pilots in different countries around the world, to test behavioural theory in reality and generate new insights about what really works when it comes to support decision making towards sustainability. The insights generated in these pilots will also feed into the capacity building programme of the Academy. What are the drivers and barriers to behaviour change in terms of food consumption and production, energy use or mobility patterns? What are the most decisive aspects influencing the behaviours that a negative impact on sustainability, and who are the best suited stakeholder group to reshape these aspects? When, where and how is it most promising to engage with my target audience on climate change initiatives? Which the tools and approaches can support measuring and evaluating the impacts of sustainable behaviour interventions? Addressing these questions give NGOs the advantage of improving the outreach and increasing the impact of its activities towards sustainability. Lifestyle choices and behaviours result from a complex interaction of factors acting at the societal level, including economic aspects, social norms and values, regulation, education and communication. For the development of transition strategies towards more sustainable lifestyles, the consideration of these factors as well as their interdependencies is essential. Academy of Change is a non-profit initiative of the CSCP and Behaviour Change, funded by the KR Foundation.